The sale of Corby, Kettering and Rushden’s police stations as well as other empty buildings could generate £3 million for the force. Money made by selling several empty and redundant former police buildings should make year-on-year savings and bring a cash receipt to help modernise the police estate. Those for sale or under offer are Kettering and Corby police stations, Rushden police station and two associated three-bedroom houses, as well as Earls Barton Police house. Marketing for Rushden’s former police base in North Street has already started with a price tag of £500,000. The buildings being sold were all closed in 2017 as part of a review aimed at creating an estate that is affordable and meets the demands of policing in the 21st century. They have been operationally deemed as surplus – either because they are in the wrong location to meet police needs or are expensive to maintain and run - and the freehold properties are now being sold. Selling these buildings will make an annual and recurring saving of £0.25 million, as well as an anticipated £3 million total capital receipt from the sales. This will be reinvested in buildings that meet the needs of the community and the police now and in the future. The flats at Mereway in Northampton, which had been used as police office buildings for many years, are sold subject to contract and are currently being demolished by the new owner. 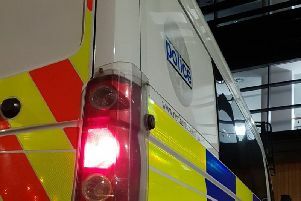 Northamptonshire Police and Crime Commissioner Stephen Mold: “It is our police officers and staff who keep Northamptonshire safe, not our buildings. “I want to make sure that Northamptonshire Police buildings are in the right locations to meet the needs of our communities. “They also need to be efficient, modern workplaces that give us the very best value for money. “To reach that goal we will sell redundant buildings that no longer work well for us and reinvest that money in a way that gives us an estate for today and tomorrow. The sale of these buildings comes as the force is providing accommodation in various different ways while trying to be as cost effective as possible. The police and crime commissioner has invested in modern, efficient buildings such as the Northern Accommodation Block beside the A43 near Kettering. Collaboration with local authorities means police have retained an enquiry desk for people who prefer to visit face-to-face rather than call or go online when they need to contact police. There are shared enquiry desk facilities in the Kettering, Corby and Northampton, where police desks are co-located with council services. Fire stations are being shared with Northamptonshire Fire and Rescue Service, including Thrapston, Mereway and Rushden, which enables further savings and supports joint working. The transfer of governance of the fire service to the police and crime commissioner will bring further opportunities to share enabling services and make savings that can be focused on frontline services. Investment in new technology is also allowing police officers and PCSOs to remain out in the community and providing a visible presence, with mobile access to information allowing them to carry out more tasks without having to return to a building to work. Assistant Chief Constable James Andronov for Northants Police: “The force supports the sale of these buildings, which no longer meet our needs in providing a modern and effective policing service. “By working with our partners, we are able to use our buildings more effectively together. This has enabled us to retain a town centre presence, with locally-based neighbourhood teams and conveniently located public enquiry desks. “Where we have done this in Northampton, Kettering and more recently in Corby, we have seen closer partnership working and greater engagement with the public.